On December 3, 2014, a select number of the best and most experienced CEE business lawyers and legal experts gathered at the Hotel InterContinental in Vienna for the first CEE Legal Matters Legal Summit, which included a Round Table conversation on the present and future of CEE from a law firm and in-house counsel perspective. The wide-ranging conversation touched on the legal markets in the region, the changing prospects for international firms, the growing sophistication of local firms, the needs and requirements of in-house counsel in CEE, and much more. The first part of the Round Table conversation focused on the pressures facing international law firms in CEE, the need to adapt traditional structural models to face current challenges, and the options available to in-house counsel. CEELM: Let’s jump right into it. A managing partner we’ve spoken to at an international law firm in the region suggested that “growth is dead in CEE” – referring both to business prospects for international law firms and to expansion opportunities. Is that true? Michael Mullen: It’s certainly not dead for the Big 4, which are moving globally into legal services again. Most of that growth will go into markets that will grow more than Europe and CEE, such as Africa and Asia. But since CEE is growing more than Western Europe, we will look into these markets as well. We have a lot of money to spend for Partners. Joerg Menzer: I think it will be a positive time. If you look at Europe, outsiders mix up the countries, but CEE deserves more attention than before, and there is more movement here than in other parts of Europe. Russia is not a reliable partner, certainly, but at the same time, Central Europe now has more stability than before. Economically, the region will move closer to the heart of Europe and will be more integrated. This self confidence means that the markets will be more mature, using easier concepts, and moving forward. The old concept of high quality service will prevail. Yes, there will be a separation in commodities where we can’t compete, and not as high a volume of transaction. But if you are good in the market, you won’t be pushed down. Ronald Given: Certainly Wolf Theiss looks for growth where it can be supported. We spend a lot of time figuring out how to keep our people motivated. The partner track has become longer. We are a people business. I read all the essays and think that everywhere in the world there is a great degree of uncertainty. Not just in the law business. It is a special business, still, and probably everyone in private practice has reason to be optimistic since there will be winners and losers. Hugh Owen: We are in a different place than we were in the ‘90s. There was a period of rapid expansion when quite a few partners were made up, and quite young. But we can’t expect all the law firms to continue growing exponentially. Secondly, many of the expats have moved on and their places have been taken by young locals who are still there, who are relatively young and unsurprisingly not showing signs of moving on. The demographic is still young. But the former model – the pyramid model – is not fully in line with what clients are asking for nowadays. Jon Weinberg: The pyramid model used to be considered the most profitable because of the clients. It turns out that in many situations, the partner-centric model is more efficient and it’s better to have smaller teams, but more concentrated, more responsive, and doing transactions more efficiently. With massive expansions, there came the hub and spoke model. In this more aggressive environment, what do we do with those that don’t make it? How do we motivate them and find alternate career paths? It’s not fair just to park people in Counsel positions. The fact is that it’s a harsher environment. Volumes are expanding and some people are not carrying their loads. Clients do not appreciate it if you staff dead wood to their accounts. CEELM: Do clients think lawyers put in the Counsel role are “dead wood”? Jon Weinberg: I don’t think that clients care that much about the particular designation, but they do see the persons that are put on their accounts. They want aggressive potential. The best thing is a highly sophisticated and motivated person on the account. Helen Rodwell: I think there is a generational issue in our business – which is an opportunity for us. Young lawyers working in private practice often don’t want pressure and long work hours. People who are doing interesting work who don’t necessarily want my lifestyle and long working hours. It doesn’t mean they’re not fantastic lawyers. Increasingly important are non-transactional partners – litigation lawyers, for instance – who don’t want to sacrifice their lifestyle but who can contribute to our firm. In the 90s, any Czech lawyer who came into our firm [in the Czech Republic] thought they would become partner. Now, colleagues in our firm in London want to leave work in the evenings – and now people from countries in this region want that as well. Joerg Menzer: Another issue is hourly and flat fees in CEE because they’re not at the same level as they are in the US, UK, and Germany. This notion that the client wants a full equity partner is good, but he cannot pay the fees to support the income an equity partner expects. The informed client will not pay you EUR 600 per hour. You need a certain leverage to generate the revenue. It’s healthy that the young people have understood that there’s more to life than work, and they don’t have to show off as much any more, but they still need to accept the fact that there is a pyramid. Otherwise it’s not possible to achieve that higher leverage. Local firms, by comparison, claim that it’s easy to make partner – but their salaries are lower. They just give titles away. Andras Posztl: “Franchise firms” like ours – DLA Piper – are moving successfully into the region, and this may be an answer as to which firms act in a particular market. You have to remember that recent decisions [made by some firms to close offices] were made on a country-specific basis, not a regional basis. And yes, the pyramid model is dead, but the cylinder model may have a very important effect on the region. We can’t see that yet but it will come. CEELM: Moving to the next question: As a corollary to his initial statement, that same managing partner predicted that 50% of international firms in CEE may be gone within the next 5 years. Do you agree with this assessment? Perry Zizzi: Well, in some countries that probably won’t happen. Poland and Romania, for instance, are too big to miss. Who knows what will happen in the Ukraine? Prague and Budapest are important as well. Slovakia and Slovenia, on the other hand, are less important countries. David Shasha: Clearly every firm takes strategic decisions about where it wants – or feels it needs – to have offices. These decisions are regularly reviewed, based on many factors including short-term profitability and longer-term prospects, and sometimes the decision is taken to withdraw. Even the largest of the international firms has finite resources, so in the economic conditions we have experienced in the last 6 years it isn’t surprising that a number of these firms have closed some offices. This doesn’t mean that they are no longer interested in the region, just that they no longer consider it necessary to maintain their own offices in certain places. Indeed, it is not unusual to still see these firms continuing to be involved in large transactions in the region in collaboration with lawyers from their former offices. Patricia Gannon: An important question to ask is why they might leave the region. Are the locals taking over? Michael Mullen: I think there’s a place for both local and international firms. International firms have the advantage of, if deals go bad, who will you call? Your local firm in the country might not be able to fix the problem. When it’s in international firms clients will pay the extra price to buy the insurance of having experts available if necessary. But clients who know the local market better have more confidence in the local players and prefer to pay the lower prices they charge. So there’s a place for both the local and international firms. In addition, of course, some local firms have bribery issues. I think in many international firms you can get a higher level of security as a client since there isn’t something else happening on the side. Regional deals might go to international firms. Jon Weinberg: There is a geographic market segmentation because of the financial crisis. Price pressure is horrendous. The international firms are vulnerable to price pressure. During the expansion phase, firms that haven’t built local links and done mid-market deals can’t make enough for lunch now and will leave. Pricing and client’s experience is important. You can’t service clients with a lot of leverage without sacrificing reputation. So there’s no way any serious international firm can lower prices without taking a reputation risk. But local firms won’t have the depth of bench to do more complicated structure deals. Clients expect a more partner-centric model of transaction where the partner stays involved. In those you can have a linear team model and you have a decent profit and it’s still cheaper than doing such deals in London. There are enough of those deals left, where clients have no realistic alternatives. Joerg Menzer: The big firms have sometimes moved out because it’s a mathematical calculation of new markets. They got big shares of the markets, moved in with privatization across CEE, and now can go to Asia where they can apply the same business model. We’re going back to a commodity market here. Firms with international backgrounds will survive because they understand that we can give knowledge transfer. But of course it’s hard for some who have only two or three deals per year. That’s not enough. Markets don’t accept such high fees any more – and many firms can’t ask for less. Hengeler Mueller, for instance, in Germany, is slowly starting to see that they can’t ask for the same fees any more. Other firms are as good as they are – but are more reasonable on fees. Hugh Owen: If international firms are managing their equity sensibly, they can run deals profitably. No doubt many international law firms will continue to close down certain offices. The minimum requirement is to remain profitable – of course, if you lose money you won’t stay. And even if you do make money, the decision to remain in a particular country or region is still a strategic decision a firm needs to make. We have to think of our long term interests. That’s the strategic question Linklaters had to address. Although they were making money, they pulled out, as a strategic decision. On the other hand, Allen & Overy is making the strategic decision to stay. We are long term optimistic. When things pick up again, we’ll be glad that we continued to be in the region. And we think that things will pick up again. We have made alliances with local strong players. You have to have a holistic approach. We are in 5 CEE centers, and we have best friend relationships with local strong players throughout the rest of the region. For us it makes sense – if you have critical mass. Whereas if you shut down two of five key CEE offices, I think it raises questions about your commitment to the region. Willibald Plesser: I represent a firm that does not have offices in CEE (other than Austria) – but did in the past. We withdrew, and though was difficult, it ended up being beneficial for us. But we started talking about growth, and whether the boom years are over. Maybe. But that can also mean opportunities for qualitative growth. To not have offices across CEE gives you more flexibility in terms of pricing and in which experts to go with and which not. All of us are struggling, but if you manage to integrate relationship firms with your own firms, then working with a team of specialists is almost an ideal world. This way you have the best local firms around that really want to contribute and bring their best people to your team. We do have a pricing challenge but you adapt your system. I’ve been in business for long enough that I’m always worried, but still successful. Of course, there’s always a portfolio of jobs that are not price sensitive, as some clients don’t care as much about the money and the fees. Other deals are more price sensitive. This means firms have to be more efficient. We need to change our style to suit the need of the client. The creation of service centers is one answer to the same question – it’s to adapt to the market. We need to change our style and get the best quality possible and still produce quality at the highest level but adapt to the market or we will be dead. In a way, I see this neutral, not bad or good, but a challenge to find the right answers. Hugh Owen: I agree. Some firms cut overheads and pursue only high end work. We recognize that it works for you at Freshfields – and anyway our London guys also chase high end work with the same type of focus as you do. But at A&O we feel like we are doing both, we have a local presence to monitor the local markets better and to pick up local work as well as the high end work. And in countries where we do not have offices, such as SEE, like you we have a similar network of local law firms feeding us intel, but in SEE it’s of course not the same as having an actual office in those countries. Willibald Plesser: The problem that we are facing is that in a way the office on the ground might be better for clients. In many cases, its a question of sophistication. I work on deals where people find out later that I am based in Vienna. Some people mind, some people don’t. Hugh Owen: For multi-jurisdictional cross border deals you don’t need a local office in every country. The clients get used to the fact that at some point there will be a number of countries where you will team up with best friends. Once you’ve gone over that hurdle it’s easier to get over the rest. David Shasha: The first half of my career I spent in regional offices. I spent the second half of my career in firms which did not have offices in the region. So I know both. While it is difficult to generalize, my experience has been that certain clients prefer to have the combination of an experienced sector specialist firm operating from, say, London working alongside one of the top independent local law firms in the country of the transaction. That kind of arrangement has kept me actively involved in the region for much of the last eleven years! Alexei Amvrosov: It depends on the client or company. We at IBM have our own offices in many CEE countries, if not all. We also have a big pool of highly specialized and professional outside lawyers and experts, including centralized global lawyers in the UK or the US who specialize in strategic outsourcing, so they fly in and act as outside counsel when we need them. But for a smaller company, they might need a local law firm who knows the market better. Christopher Fischer: It depends on the law firm. In acquisitions, we [at Western Union] look for someone that has a good partner network in those jurisdictions, and we will work with those law firms. It’s not important to us to see that there are people on the ground in the region. Gergo Budai: If you need cross-border support, it’s important. To have feet on the ground, it’s important, and depending on the transaction to either have your own partner or a local expert is important. I used to work as regional counsel for Pfizer for many years and always needed the local expertise. Jelena Madir: I agree. It gives you an assurance of the quality that can be obtained only from someone with the knowledge of and expertise in local law. CEELM: When you use an international firm, they may not have feet on the ground, but you have the brand, no? Jelena Madir: Yes, but sometimes a local lawyer is needed. Hugh Owen: Even though there might not be a local office, you want to be certain that your firm can arrange for you the expertise you are after. Agnieszka Dziegielewska-Jonczyk: When I think of the situations where we engage outside counsel, I can see four different scenarios. First, we go outside when a particular question arises on which we don’t have in-house expertise. In this scenario, it is not important to us whether the firm is local or international, we just look for the best expert in that particular area. Secondly, there are instances when we do know the answer to the question, but there is a need of an external legal opinion. In these cases, we prefer international law firms with well-known brands. 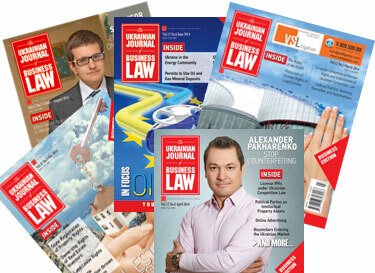 For the most cases, we choose international law firms with offices in Poland. Then I can say that they combine the local market knowledge with a broad international perspective. It’s the preferred option in this scenario. Thirdly, we may need outside legal support when there is no internal capacity. There are times when we have too much work and some tasks have to be outsourced. In these cases, we want to keep the costs low so we choose a local provider. The fourth scenario is an international transaction involving the whole company, worldwide. In these situations, we work with international law firms mostly because of the standardization. We need to have similar structures in all the countries, involved therefor it is essential that a firm we work with has its own or corresponding offices in all impacted countries. CEELM: What about local Hungarian firms, Gergo? Do you believe as a purchaser you’re safer going with the international names? Gergo Budai: If you’re used to a certain quality you would continue to go to them. For the prominent local firms, there’s a market for them, such as litigation. In Hungary, they are going after the big deals, contracting work – but not as much litigation or regulatory or standard corporate housekeeping work. Currently that is the slice of the market that’s available to them. Jon Weinberg: A lot of this conversation assumes the hub and spoke model, but it has been reversed. The top ranked full service firms send deals back to London at a London price. We didn’t want to generate outposts. We have had deals done through London and have won two more from the Czech Republic. Both models can work but there is a higher transactional risk where you have divided law firms. CEELM: There’s of course also a sort of third class of firms in CEE: those firms that were once part of Magic Circle firms, but are now independent. Oppenheim in Hungary, for instance, which was once the Budapest office of Freshfields, or Kinstellar, which sprang from Linklaters. And both they and other local firms are getting an increasing number of foreign-trained and/or qualified lawyers. Are local markets getting more sophisticated? Gergo Budai: I think that all of these have a future and a valid position on the market, whether big law firms or smaller firms that are the remaining parts of big players. Each of them has a business segment that they are good at. For smaller, more directed matters there’s the local segment. Clients want quality for lower fees and the small local firms deal with various segments. Joerg Menzer: I think there are excellent local players. Some local players get a piece of business because they are good, they might be a brand, but in the end, it’s because they are connected to the political parties. They might go skiing together – I don’t know – or there are other relations which are honored. On one hand it’s quality, yes, but on the other, it’s connections. Gergo Budai: That may happen, but often you also see an international firm working under them. CEELM: In contrast to the suggestions by some that growth is over, some of you suggested in your essays that some firms are achieving pre-crisis levels of profit. Are the good times back? Andras Posztl: There’s a big question mark in Hungary. If they’re really flexible on rates then firms can stay pretty busy. The real issue is sustainability. In the long run I am cautious to see how it will end up. In the long run the prospects will be different in different markets. The issues are the same but the prospects are different. Governments in this part of Europe are very active in one way or the other from an investor perspective. If you’re successful then you can earn. The earnings are not too high but we have to acknowledge that you can make a decent living. The question is how to adapt? The answer is: You invest in the future. Changes are common – especially in Hungary. The government is changing the targets and sectors, for instance the retail sector. This will bring further opportunities for law firms. Joerg Menzer: We are improving. In the last few years we’ve been recovering slowly, but in other offices there were downturns. So it’s not like it was pre-crisis – but in all discussions with clients we discuss transactions. We don’t talk about commodities. We like to talk about numbers, but it can be a simple contract. Let’s be honest: we do a lot of commodities work. We’re not always doing the greatest transactions. If I look at it – the fees were higher pre-crisis, but we have stable growth. Helen Rodwell: Our model is about coverage. Since the ‘90s we’ve been committed to the region. More coverage, more lawyers, more deals. In order to do this, our approach is not just transactional. Transactions are key to our firm – but we do others things as well, and during the downturn, during the crisis, the broader range of services that we offer was very important to get us through. In the last 18 months it’s been consistent with the recovery of Europe. The front cover of the Financial Times recently declared that investment has returned to a pre-2011 level. The transactional pie has come back in force in most of CEE jurisdictions except Ukraine and Russia. US and UK investors are back. Croatia and Slovenia are growing. CEELM: A number of originally-local players in CEE have developed over the last decade into full service regional firms, such as Schoenherr and Wolf Theiss branching out from Vienna, Drakopoulos from Athens, and Karanovic & Nikolic from Belgrade. I’m curious to hear from the representatives of these firms what circumstances led to their growth? Patricia Gannon: We grew out of Serbia during the privatization period 20 years ago, and we’ve established ourselves in the former Yugoslavian markets. It made sense to open up in those countries. We recognized that the markets are small. We targeted international investors to come into those markets. We want to grow interregional work. Ronald Given: Wolf Theiss is a similar story. Our model is to always be a good referral firm for large UK, US and Western European firms. I agree with Patricia that in places, say, like the Czech Republic and Poland, we’re seeing entrepreneurs having bigger plans and stepping up their choice of lawyers. Adrian Roseti: The Greek business is family oriented. A couple of years ago, business migrated from Greece and Cyprus. They channel Middle East investments. In the second part of the Round Table, the conversation turned first to a consideration of what General Counsel need from their external lawyers, and then to a review of specific CEE markets, opportunities, and hot-spots. CEELM: Let’s switch subjects. What are our General Counsel participants looking for when they retain external counsel? Christopher Fischer: As for outside counsel, I manage our legal spend carefully. I may not need the partner to devote that much time as long I can guarantee quality even if done by a counsel and not a partner. However, I prefer years of experience to even an aggressive young lawyer. It’s specialization that I need, which may only be able to come from someone who understands the nuances that I seek from outside counsel. And of course there are times where there are nuances that arise or local specialities that we need, where our lawyers will not be able to go into at that level of detail. And so, when the issue comes up, we will need outside counsel. There will be areas that you won’t be able to cover in-house. That’s why we look for whatever lawyer meets our needs. Jelena Madir: Lawyers’ levels and titles are not critical in my selection, because different law firms have different titles associated with the same level of experience. Unfortunately, very often it is the very senior lawyers who secure the project, but the work is then done by very junior lawyers because of the lower costs. This is certainly not an effective way to ensure client’s satisfaction with the end product. CEELM: But presumably much or all of that pressure on fees comes from clients. Do you pressure firms to lower their fees? Jelena Madir: Not really – the lowering of fees is driven by the competition in the law firm market. Ingo Steinwender: I agree. At the end of the day, we as in-house counsel have to ensure quality, whoever provides it. The result is what counts and it counts to meet the budget. Gergo Budai: From the outside, and from the inside, you see that sometimes you need partners, associates and counsels and some times the associate is more competent than the partner. He gives security to the deal. In CEE, markets are changing and you can’t validate huge fees, so it’s important that you’re able to solve the problem internally. It’s important to keep the people in the company. You need to keep people motivated, whatever their status, because if you don’t they will leave your big firm and will become your competition and will take your deals from you at a fraction of the cost. CEELM: Do the partners here find that expectations of clients are changing? Willibald Plesser: We have to see which clients are there. 10 PE funds are interesting to us in Eastern Europe. Some groups of clients are sophisticated. Others are corporate and don’t have the know-how, they sometimes have a different style. There are governments that are very professional with a high level of preparation. It’s diverse and relationship driven. I’m leaving out the Russian clients, who are unorthodox. There’s no real trend but at the high end it’s very professional. Michael Mullen: In the West, the largest clients are institutional. In CEE it’s more relationship based. Lawyer to lawyer. It’s easy for good lawyers to establish themselves in the market. They’re not as institutional. Helen Rodwell: More clients have started to request value-added services than ever before. All the services that have been offered in the UK for years are now being requested in the CEE. In addition, a lot of domestic clients have moved to setting up panels, either at the local level, the regional levels, or both. CEELM: Is this a frustrating development? Suddenly you have to fight for a place on panels? Perry Zizzi: While those panels have been put in place, there is a lack of understanding how to evaluate firms and proposals. For instance, you can’t compare the PI cover of a small firm to a large firm. Within our hourly rates, a client is paying for the professional indemnity insurance. I have tried to explain this to in-house counsel, but many are only looking at the headline hourly rate. Patricia Gannon: We’ve never been asked about our PI. No-one has ever asked to raise our PI cover. Perry Zizzi: We’ve been asked about our PI cover and even had to get local counsel in Austria to increase their cover for a particular deal, which frankly was ridiculous, as the firm is one the leading firms in Austria and has a higher PI cover than any other firm in the market. CEELM: In light of this PI dynamic, I’m curious to hear from the GCs – are there unique selling points that firms are trying to leverage on a continuous basis that you do not really care about? Ingo Steinwender: The USP they all try to sell is that they are well-equipped, internationally-experienced, and market leaders. For us, the decisive points are response time, quality of work experience, and industry knowledge. The fees are comparable and negotiable. Ronald Given: Do you consider rankings? Ingo Steinwender: No. I don’t take them seriously. Joerg Menzer: Industry knowledge, track record, all points taken. How open are you to firms who don’t have the track record but you still give them a chance maybe? How do you deal with this – is industry knowledge only valid if you work on a large number of deals in that industry? Ingo Steinwender: If we give a chance to those law firms without industry knowledge, this lack of expected quality and increased effort for our in-house team has to result in lower fees from the beginning of the cooperation. That´s the trade-off. However we do give such law firms a chance from time to time and in particular have developed a great cooperation with a single-lawyer law firm in Austria for leasing issues. Gergo Budai: I fully agree with that. You can decrease the rate in project financing in return for training a person and giving chances – but it has to be a win-win situation. CEELM: Let’s turn to some specific countries. How does the ongoing conflict in Ukraine affect confidence in the region? Are foreign investors able to distinguish between markets, or does unrest in the Ukraine suggest to them a regional instability? Jelena Madir: The EBRD is engaged in anti-corruption efforts in the Ukraine and sees an opportunity to do more work there. As a development bank, we want to be involved across the region. David Shasha: At the beginning of the year I was advising on a proposed joint venture between a large institution in Ukraine and a significant Russian organization, though not surprisingly that transaction has not gone ahead. Other clients are monitoring the situation, though without a speedy resolution to the problem – which I fear is looking increasingly unlikely – then it is likely that there will be significantly less investment in Ukraine in the coming year. And yes, I do think that will have a negative impact on transactions involving neighboring countries and/or those with close economic ties to Russia. Agnieszka Dziegielewska-Jonczyk: My company is present in almost all CEE countries, including Ukraine. However, I may presume that for some investors, Ukraine may seem risky, Luckily, Poland is not. Therefore, there may be a prefernce to locate CEE headquarters in Poland or Czech Republic rather than in Ukraine. But, in my opinion, the region as a whole is not much impacted. Patricia Gannon: Serbia is an interesting case, as the country has not applied sanctions on Russia. We’ve been waiting to see if there’s some form of blowback there, but so far, there’s been no effect on Serbia. But we’ve not seen a lot of investment to Russia as a result of this position to date. Alexei Amvrosov: IBM is present in the Ukraine, and we don’t want to decrease that presence because of the crisis. We see an economic impact, but frankly, the decline started before the current political crisis. Government clients started delaying payments to us in early 2013 without reason. On the legal side, I would say that probably at least the Europeans can distinguish between Central and Eastern Europe in terms of the legal system. Ukraine is close to Russia, of course, so people who are in America – for instance – may not understand this wholly. But in Europe there isn’t a big link. CEELM: Chadbourne & Parke, for instance, left Kyiv this past summer, saying that even if the conflict ends soon, things still won’t return to normal anytime soon. Michael Mullen: The private side is dead, but the public side is not. 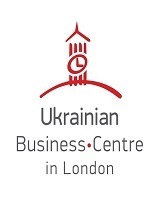 I see the balkanization of Ukraine on the business side extending for a number of years, maybe 5, depending on the conflict and the amount of money EU pumps into the country. It could shorten the time. Ronald Given: I agree somewhat with Chadbourne’s analysis. If the conflict continues much longer then who knows? There are a lot of clients who have been there and may soon go elsewhere if there’s not a clean end to this sometime soon. Perry Zizzi: Both pre-and-post crisis, I spent much time from April 2013-April 2014 in Kyiv. It was quite active. But real estate never really took off, and now two major banks want to get out. Without bank lending, a recovery is going to be particularly difficult. What will be left? Russian banks. Helen Rodwell: There was a wave of investment for 4 or 5 years. A lot of people burnt their fingers and it will take a long time to get over that. Ingo Steinwender: We’ve only got two undeveloped land plots projects for logistics, but we don’t have a critical mass there, so our strategy is to leave the market. Unfortunately, it’s impossible to sell at the moment. It’s too risky. There is no market for our logistic projects. We want to get out of the Ukraine. 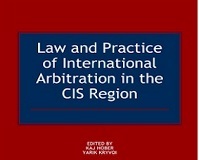 CEELM: Some have suggested that Turkey may be losing its appeal for international law firms. Others have asserted that Turkey is moving up. I would like to get your perspective. Is Turkey “done”? Jelena Madir: It’s on the upside – one of the largest countries we work in. I’m not based there, so I can’t comment with complete authority, but we have lawyers on the ground, and we see a lot of opportunities. Willibald Plesser: I think it’s one of the most challenging markets. There are a number of high calibre projects, but fees for law firms are a disaster. Even the Turkish corporates who pay reasonable fees to international firms use them primarily on the outbound business. We’re not considering opening an office for that reason. It’s an interesting market but in some sectors only and only in complex transactions. CEELM: Why is the price competition so fierce? Willibald Plesser: It’s full of family businesses that keep deals in-house. There’s no tradition for external lawyers, and it can take twenty to thirty years to build a relationship. There are international companies working essentially for free just to get Turkish business and enter the market. Local law firms get very low rates from local clients. And there are a lot of spinoffs from firms that are young and hungry. It’s a tough market. Perry Zizzi: This isn’t really a new phenomenon. Even before – 10 years ago – there were a lot of long-standing local firms that were excellent. The competition was tough even then. CEELM: It’s been said that the Czech Republic in particular is hot for real estate. Is that the only place? Ingo Steinwender: Well, for us certainly Prague is an important market. And we’d like to expand. Prices are high. Helen Rodwell: I think Poland is really hot as well. Perry Zizzi: In Romania, we have a huge pipeline. Investors that are coming in are really impressed with opportunities in Romania. Michael Mullen: Real Estate is hot in Prague, in Poland, and starting to get hot in Romania. Shopping centers are being transacted right now, warehouses, but not so much office space. I think that’s linked to changing work places, changing distribution models, changing retail models. CEELM: What makes it special in Poland, Romania, and the Czech Republic, as opposed to Hungary or Austria, for example? Joerg Menzer: In Western countries they don’t sell their assets because they won’t get the money they want for it. The size deal is maybe bigger in those countries. Banks are reluctant. Hedge funds can be sold off. In the good days no-one cared about shopping centers. They weren’t interested in projects to up to 150 million. Now, in those markets, nobody sells, everybody wants to buy. People pay 50 times the value of apartment houses because they don’t know how else to secure their money. They hope the market will pick up. They don’t buy in Romania or Poland because they love the country – they buy simply to spend their money. CEELM: While Romania and Bulgaria tend to be compared as similar markets in CEE, this year has seen two international firms pulling out of Romania, while Kinstellar has opened up its office in Sofia. What is your take on these two markets? Ronald Given: Generally, there has been a positive vibe about the market potential [in Bulgaria] recently from what I’ve seen. Patricia Gannon: From my point of view, having been in Bulgaria a couple of weeks ago, people are really deflated there. The feeling I got is that the outlook is not positive. CEELM: Perry, in your essay you mentioned that Romania has the potential to be the next Poland of CEE. Why do you say that? Perry Zizzi: Romania has a long way to catch up with Poland. Yet the population is well educated, the tax rate is attractive – 16% flat tax is good – they elected a president who brings stability and transparency. Well, he is perceived to bring stability and is perceived to be better than the last president.And the legal system, the judiciary, has proved to be not as bad as people have feared when things were tough. I’ve seen horrible decisions that were inexplicable to our clients, including a criminal case involving an issue that in Romania they are still trying to deal with that was dealt with immediately in a German court. Still, the outcome in cases is generally satisfying, and things are not as bad as people feared they would be. I think there’s more development and improvement coming. CEELM: Finally, we’d like to turn to work coming from China. Ronald Given was just there, and we know others of you have been too. Are you doing China work? David Shasha: A number of clients are actively involved in the Ukrainian market, and they’re waiting to see how things will play out there. I am not getting China work right now. The reluctance of Chinese clients to pay Western rates and their unfamiliarity with the services we provide is a problem. They often don’t understand what Western lawyers do. Corruption also is a factor. Governments have done deals that they subsequently felt bad about. Ronald Given: Wolf Theiss believes that you can’t ignore China – but yes, we’ve also noticed the idiosyncrasies about paying bills. Our business development strategy has been to visit everybody we can and to develop a basis for referrals – we leave the really heavy investment to the large international firms. In China – both Hong Kong and Beijing – there is great interest in CEE. David Shasha: Did you find a difference between Hong Kong and Beijing? Ronald Given: Yes, absolutely. More of our successful referral work has so far come from Hong Kong. There seems to be a greater degree of sophistication with Hong Kong referrals. We have also noticed that many Chinese investors believe the Ukraine situation might be an opportunity for them. Helen Rodwell: There’s always a lot of interest in Central Europe from China, and the potential of Chinese investment is exciting ... but so far it has come to zero as far as I can see. The main investment in the region is Korean and Japanese, in fact, who are quiet in the way they go about their business, in energy, real estate and in airlines, in the Czech Republic. They go under the radar. Ronald Given: You see a lot of real activity in Bosnia and Serbia. Croatian airlines wants to do the same thing that Czech Airlines did, but so far no other airline seems interested. There’s a funny story about the Czech airlines deal, by the way. It turns out there is a soap opera in South Korea that is based in Prague – so every Korean wants to come to Prague because of the soap opera. The interest that soap opera created is one of the reasons Korean Airlines invested. Willibald Plesser: A lot of potential with Chinese investors is using the vacuum in Russia and the Ukraine. Also in Austria. Eventually they will be an important clientele. But it takes time. The challenge is that the Chinese need to be educated as clients regarding advanced payments. I also have a funny story. I was wondering, once, why we were having so much trouble collecting our fees from Chinese clients, and one night, at a Chinese restaurant, it occurred to me that you pay in such restaurants in advance. Based on that experience, I decided to demand up-front payment for our services from our Chinese clients, and it turned out they paid without any problems. That’s the model they’re used to, in fact. CEELM: Okay, I think that’s all the time we have this evening. Thank you all for coming to the first-ever CEE Legal Matters Summit, and we hope all of you have successful and profitable 2015s. We look forward to hearing about them at next year’s event! Correction: On Page 36 of the Special Year-End Issue of CEE Legal Matters, in the CEE Legal Matters Summit Round Table: A True Expert Review, Budapest-based DLA Piper Partner Andras Posztl is quoted as describing DLA Piper as a “Franchise Firm.” This was a transcribing error, and Posztl emphasizes that DLA Piper is not a “franchise firm.” CEE Legal Matters apologizes for the mistake. This Article was originally published in the Special Year-End Issue of the CEE Legal Matters Magazine. If you would like to receive a hard copy of the magazine, you can subscribe here.